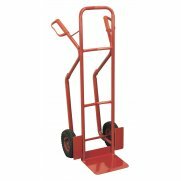 Tubular steel construction gives 150kg maximum load capacity. 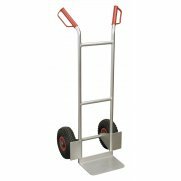 Deep foot ensures cartons stay on trolley during transit. 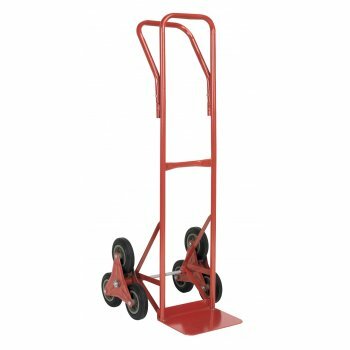 Fitted with solid rubber wheels. Handle design allows a firm grip whilst ascending and descending stairways. 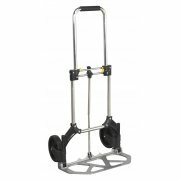 Ideal for delivery drivers and couriers. Suitable also for multi-level factories and offices. 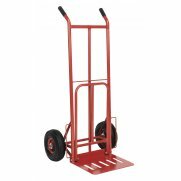 Warranty: 1 YearTubular steel construction gives 150kg maximum load capacity. 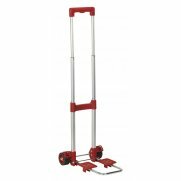 Deep foot ensures cartons stay on trolley during transit. Fitted with solid rubber wheels. Handle design allows a firm grip whilst ascending and descending stairways. 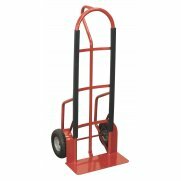 Ideal for delivery drivers and couriers. Suitable also for multi-level factories and offices.